Freightcheck is the leading monitoring real time solution for ensuring safe delivery of containers from origin to destination. Both solutions based on GPS, Cellular and RF technologies. Detects in Real-Time container position, door opening, break in, blow or damage. The installation takes 30sec only. 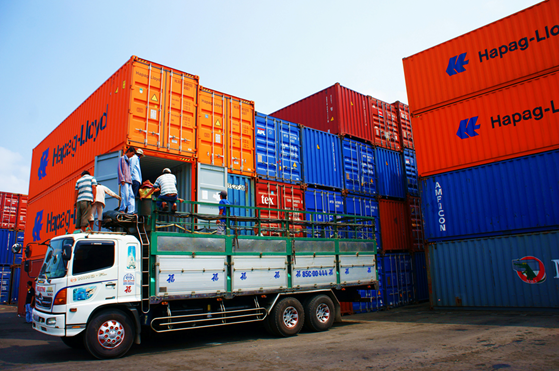 This container tracking solution is Patent Pending and tested and approved by Lloyd’s. 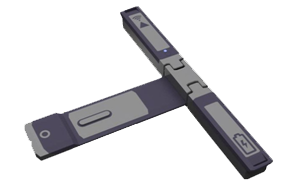 Detects in Real-Time a deviation from temperature range and a predefined route, damage from an accident, an attempt to break-in and an unauthorised container door opening. Long battery life: Over 3 months! The FreightCheck container tracking system serves and provides real time data to all parties interested in the delivery of a shipment, such as: logistics personnel, supply chain managers, sales, security, insurance, finance, suppliers, customers, shipping companies and customs. It allows all those involved, to coordinate their efforts to ensure that shipment obligations are being met, or in times of need, to take action immediately and in an orderly manner. WHERE FreightCheck should be installed? The unit is attached to the container door frame with a magnet. WHY FreightCheck should be installed? of a wide range of possible events and situations with its built in sensors, system stability and continuity and its unique ability to remotely protect your cargo 24/7. to all significant events or unusual situations in real time. 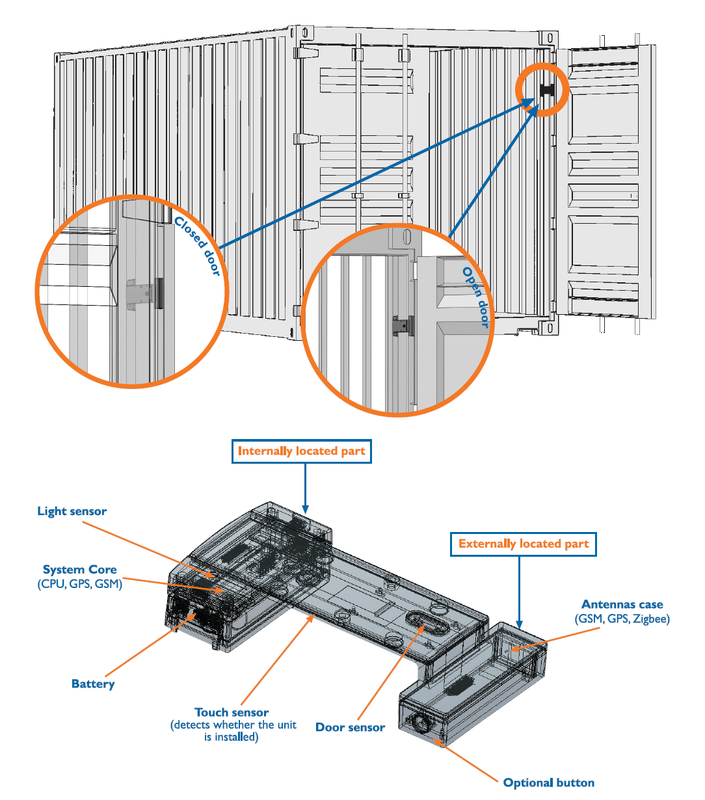 The system is automatically activated, allowing you react swiftly and confidently to overcome any challenges or obstacles during the container’s journey. and prepare for those unpredictable supply chain disruptions. By being able to prevent any further delays or damage, you can inhibit any possible loss of merchandise, and ultimately loss of money. due to the state of the art OTA ability to remotely upgrade the unit with new features and also change settings within the existing firmware of the unit. in customer service; with real time technology and information at your fingertips at all times, JA-FreightCheck increases operational efficiency and keeps your customers satisfied. of the system, due to its all-in-one solution base and its fast and easy installation. In only a few simple steps, you can also define the alerts, reports and destinations you need through the On-line system. to operate simultaneously to collect data regarding various aspects of your cargo’s position and condition, allowing you to stay well informed about your containers’ status in real time. You are assured that the JA-FleetWatch system was tested and approved to meet the strictest standards of the world’s leading organizations. HOW FreightCheck can help you save cost? The features and functions made available by the FreightCheck, leading container tracking device, provides access to information that is reliable, accurate and delivered in real time, allowing them to keep track and monitor a wide array of parameters and situations. Ultimately, its performance gives full control over dry containers and reefers worldwide. The information that FreightCheck can provide can help insurance companies, cargo owners & freight forwarders as to the circumstances around lost or damaged goods. Following testing by environmental test laboratories, our solution was endorsed by Kiln, a Lloyds of London underwriting syndicate, in May 2012 as satisfying a key policy condition of its high value cargo insurance. 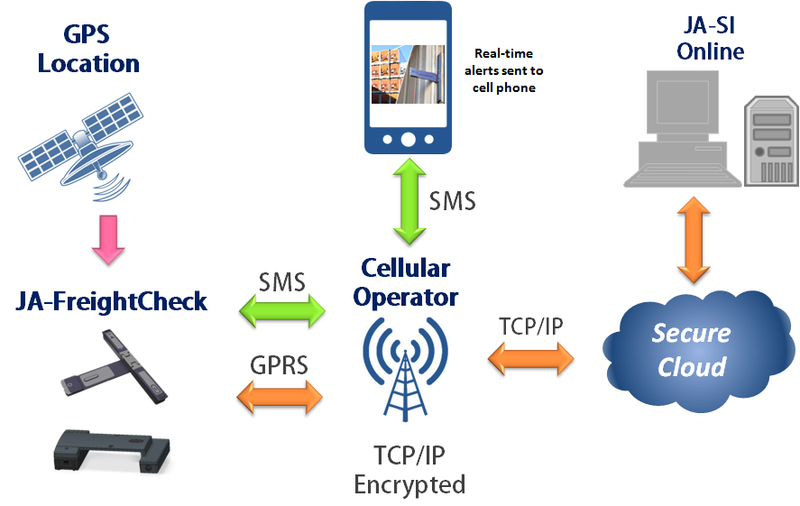 FreightCheck, Container Tracking device, can provide real time updates on the location of containers as opposed to the alternative, offline and delayed data. WHEN FreightCheck can be used? Items that have a high chance of being stolen owing to their physical attributes; being small, lightweight and easy to transport such as perfumes, cigarettes and smartphones. These are goods that require monitoring and maintaining in special environmental conditions. Perishable Cargo such as chilled fruits and vegetables or frozen meat and fish, all require a reefer with the utmost in system reliability in order to avoid spoilage. Healthcare and Chemical Supplies such as medical syringes or hazardous substances all require special handing to ensure safe delivery. These are shipments where the date of delivery is of particular importance and can include exhibition equipment, goods for a limited time (sales) or season related items. These are shipments that are considered unsafe or are items that are banned from entering the country, examples include drug and human trafficking. FreightCheck, container tracking device, can also be useful for preventing “customs avoidance” schemes. FreightCheck, Container Tracking Device, can serve as your electronic seal, monitoring and ensuring that your container and cargo arrive safely to its destination.